With its common vertical plan, no part of SafetyRail protrudes into or interferes with the walkway. With SafetyRail, users can create a multitude of angles, up to 90 degrees, and still maintain a continuous guide rail. 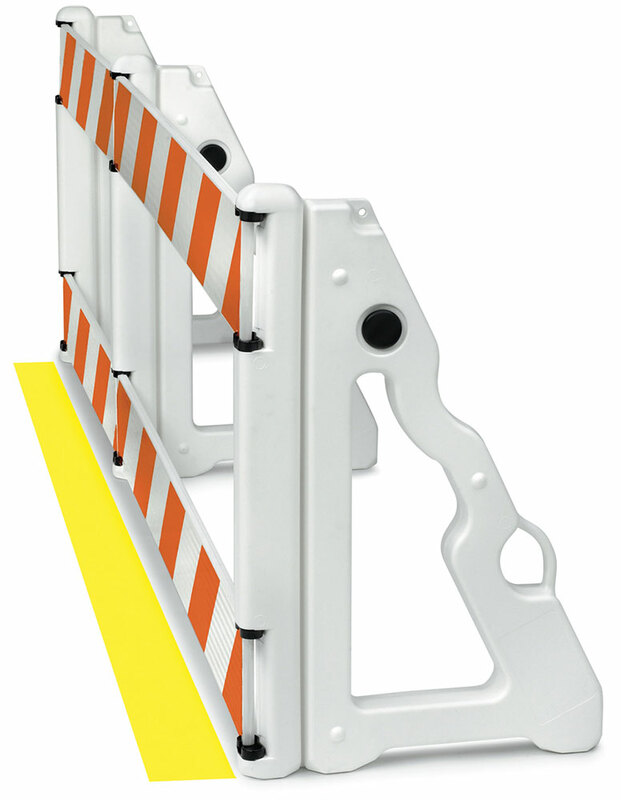 SafetyRail is designed for use with the PSS Wave® barricade panel. The Wave panel is manufactured with encapsulated ends, to prevent snagging of hands and walking aids. 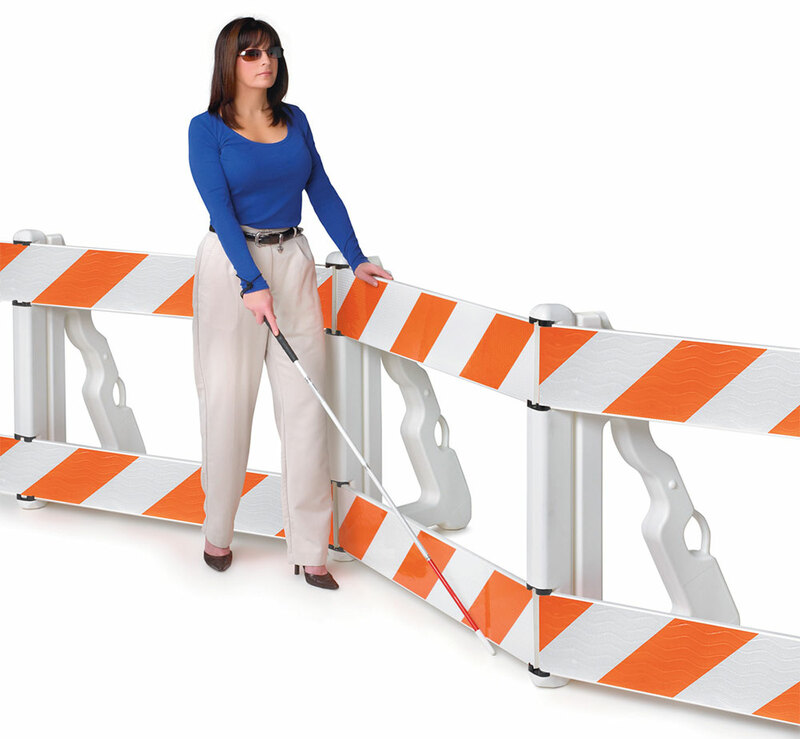 The Wave panel, blow-molded with high density polyethylene (HDPE), with UV stabilizers, for increased durability, provides a smooth guide rail for use by hand. The Wave is available in convenient sizes of 4’, 6’ and 8’ lengths. Retroreflective sheeting meets all state and federal specifications, and is available in Engineer, Hi-Intensity and Diamond grades. No hardware is required to assemble SafetyRail. Set-up and tear-down time is minimal. Choose between internal or external ballast: fill the SafetyRail with sand, using the extra-wide sand- fill hole, or use traditional sand bags. SafetyRail measures 38” high and 24” wide, by 3.25” deep, and weighs 7 lbs. SafetyRail is lightweight, portable, and easy to transport or store. 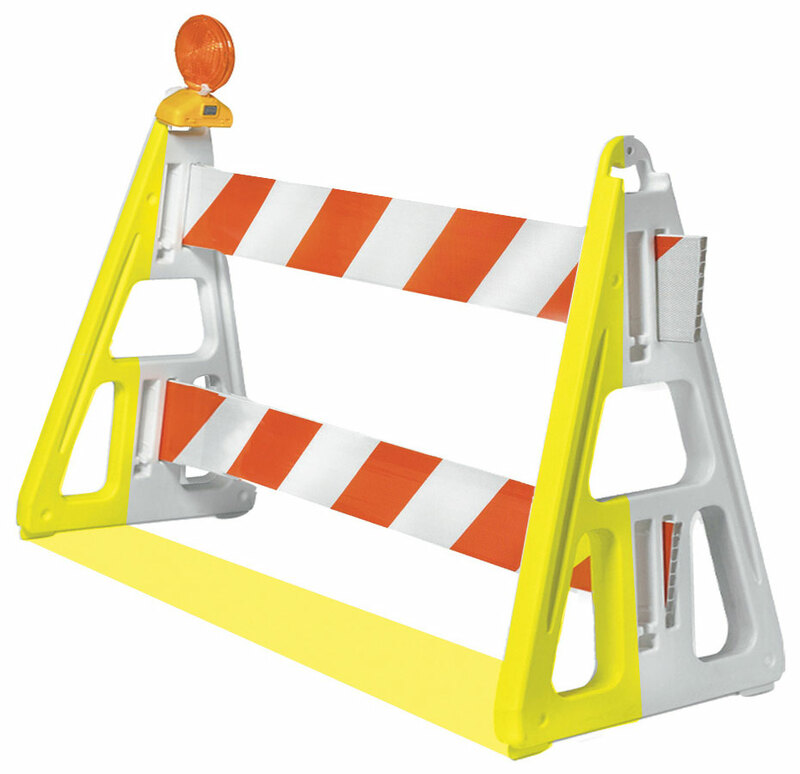 SafetyRail is blow-molded with high density polyethylene (HDPE), with UV stabilizers, for increased durability.